Het appartement was erg groot, alleen de kachels kunnen als je ze op het maximum zet net de kamer verwarmen. Wij moesten de sleutel wel uit Nes ophalen maar had geen idee waar ik deze in moest leveren. Er was niemand bij Buren en niemand op het kantoor in Nes aanwezig. Heb de sleutel maar in de brievenbus gedaan. Snelle handelen van beheer bij melding van ontbreken van artikelen. Die Unterkunft war sehr sauber. Man fühlte sich sofort wie zuhause. Freundlich und entgegenkommend das Personal. Konnte nur eine Fähre außerhalb check in Zeiten buchen, es wurde mir, ohne dass ich darum gebeten habe, sehr gut geholfen. 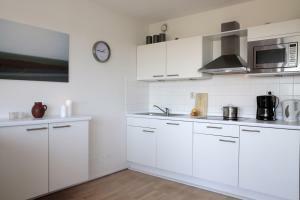 Die Zimmer für 4 Personen waren sehr groß. Aufbewahrungsmöglichkeiten waren ausreichend vorhanden. Aangepast aan gewenst comfort en ruimte in verblijf appartement: alles ok en voor herhaling vatbaar!! One of our best sellers in Buren! 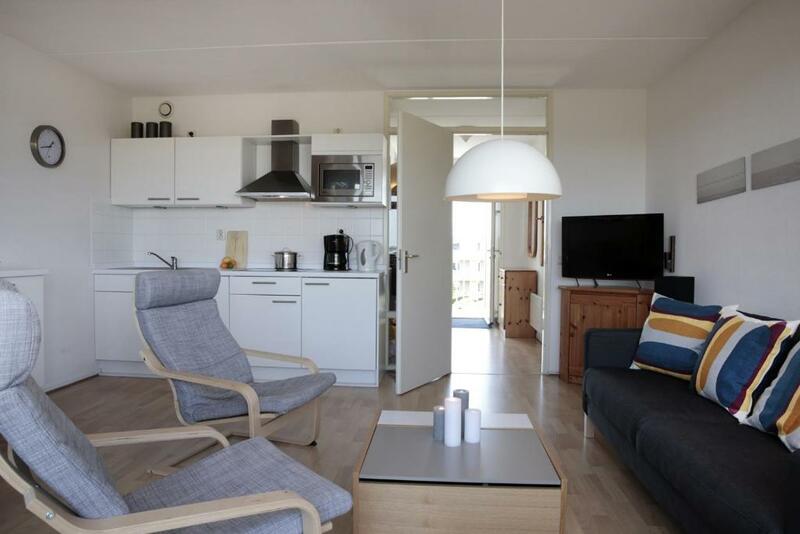 Located on the beautiful island of Ameland, the Amelander Paradijs offers guests a range of comfortable and spacious self-catering apartments in an unrivaled location. The property is conveniently located just a short stroll from beautiful sandy beaches and impressive sand dunes, with the village of Buren just 1,300 feet away. 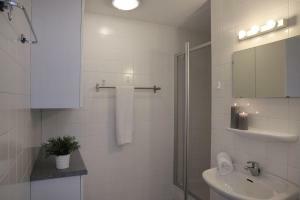 All of the well-furnished apartments feature 2 bedrooms, comfortably sleeping 4-5 people and are 75 square yards in size. Each apartment features an open-plan living/dining area with kitchen area, as well as a modern bathroom and either a furnished terrace or balcony. Amelander Paradijs is surrounded by large spacious gardens and additional facilities include a barbecue area and a volleyball court. Younger guests will enjoy the children’s playground. 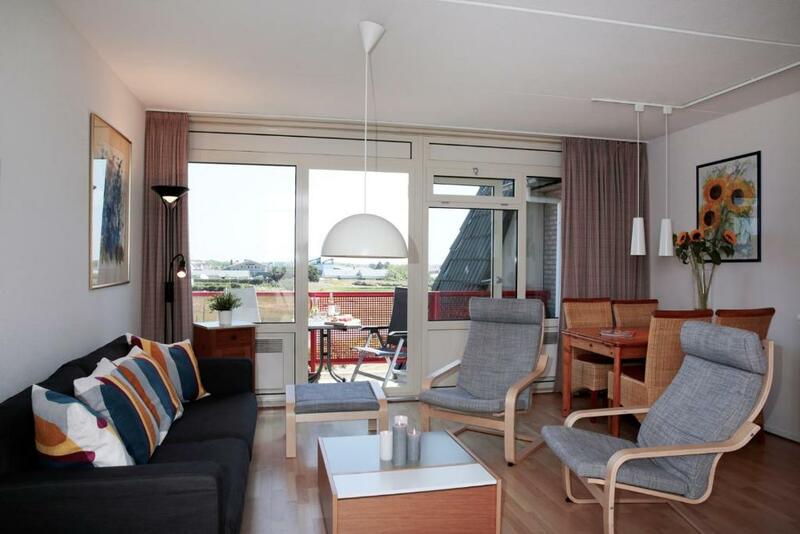 There are a number of restaurants and pizzerias within close proximity to Amelander Paradijs. The local supermarket stocking a wide range of essentials is just a few hundred yards away. When would you like to stay at Appartementen Amelander Paradijs? The 'Amelander Paradise' is characterized by the wonderful relaxed atmosphere, your holiday starts at the reception! Hospitality is our top priority and we make sure that all your questions are answered. Do you want the best tips and advise regarding Ameland? Please ask our staff. And should any unexpected problems during your stay, we will make every effort to resolve this as quickly as possible. This makes your holiday at the 'Amelander Paradijs' a real holiday! Ameland: a lovely island where untouched nature with woods and dunes, sunny beaches, traditional villages and a vibrant nightlife are combined to create the perfect holiday destination in the Netherlands. The complex of the Amelander Paradise is a stone's throw from the charming village of Buren. The beach can be reached within minutes. 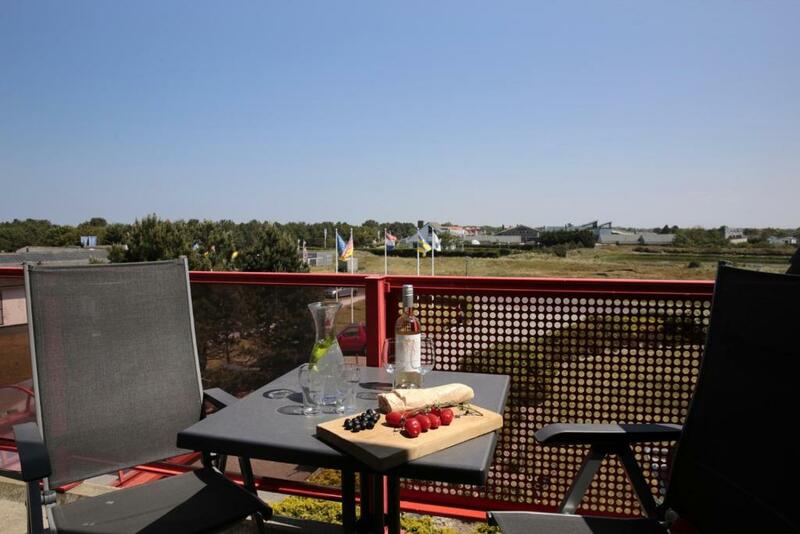 The apartments are situated in a grassland and dune area, allowing you to have a great view from your terrace or balcony. 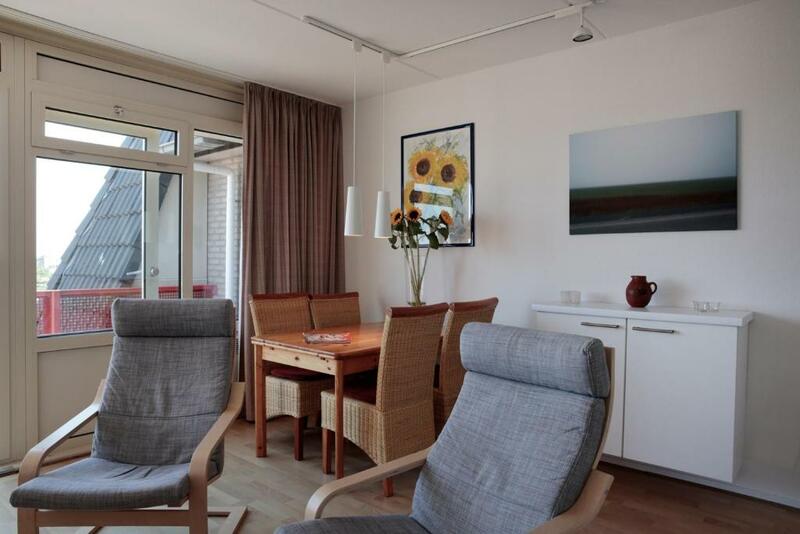 The murmur of the sea in the background ensures that you can (day) dream and wake up to the sounds of nature. .
House Rules Appartementen Amelander Paradijs takes special requests – add in the next step! Debit card Appartementen Amelander Paradijs accepts these cards and reserves the right to temporarily hold an amount prior to arrival. Appartementen Amelander Paradijs accepts these cards and reserves the right to temporarily hold an amount prior to arrival. Please note that from 1 January 2017, the cleaning costs for guests who stay on a Saturday will be EUR 85 instead of EUR 65. Please note that the photo's give an indication of how the apartment is decorated. This may differ between rooms. Please note that use of bed linen and towels are not included in the rate. These are available at the accommodations for a charge of EUR 6.50 and EUR 4.50. Please contact Amelander Paradijs to reserve the supplements prior to your arrival. Guests can also bring their own. Please also be advised that the hotel does not accept credit card payment and requires a deposit by bank transfer. The guidelines for this payment will be provided by Amelander Paradijs after making your booking. Breakfast can be ordered and delivered at the the apartment. Children up to 8 years old can have breakfast at a reduced price. Dinner can be served at the restaurant next to the apartments. Both dinner and breakfast need to be reserved up front. Please note that baby chairs are available for EUR 12.50 per stay. Please note that baby beds are available at EUR 12.50 per stay (excluding linen). Please inform Appartementen Amelander Paradijs of your expected arrival time in advance. You can use the Special Requests box when booking, or contact the property directly using the contact details in your confirmation. 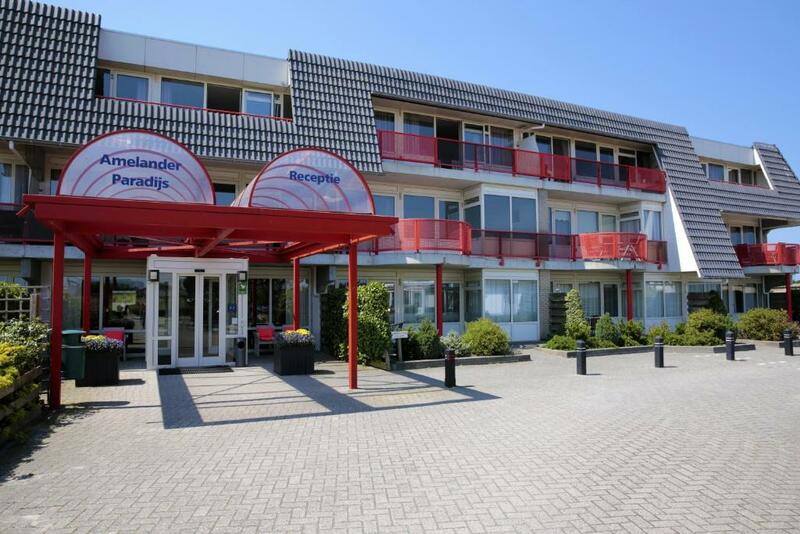 Please note that check-in and key collection take place at: Achterdijken 12, Nes, Ameland 9163 JV .